Out June 25, 2019 with G.P. Putnam’s Sons Books for Young Readers/Penguin Random House. To read a sneak peek excerpt go HERE to the exclusive preview in Entertainment Weekly! 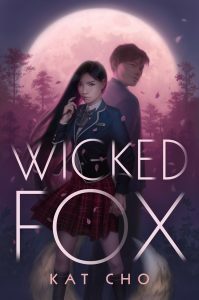 Wicked Fox will be traveling around the world! Coming Summer 2020 from G.P. Putnam’s Sons Books for Young Readers/Penguin Random House.